Fire. In a valley, near where I once lived in Wellington, there is a street lined with old houses that I used to pass on my way home from work. The same families have lived there for generations and I often saw them calling over the fence to their neighbours— inviting them in for coffee or borrowing power tools. I would nod to them as I walked past and they always gave me the sort of polite, unfocused smile reserved for strangers and passers-by. I met someone who lived in the street for a while during the 1990s and he told me about the complex village hierarchy of neighbours whose parents and grandparents had known each other over the generations. He told about whose children had played together on summer afternoons and whose grandchildren paid fleeting school holiday visits. I heard about the wayward teen brought home in a police car and the neighbour who had been caught in flagrante delecto with a recently divorced doyen of the community. But on cold winter evenings they retreated to their houses and built fires in the grates in their sitting rooms. Walking home in the dark I would see the smoke rising from the chimneys and smell wood-smoke in the air. Sometimes I could hear someone chopping wood in a garden shed or stacking newspapers for kindling. Through lighted windows I caught glimpses of ordinary things—a pushchair in the corner of the room, a discarded newspaper, an open book left face-down on the table— and the flickering shadows of flames in the hearth. A fire burning in the grate in an empty room tells us that the occupant has just left for a moment to answer the telephone or turn the oven down or to put the children to bed. It tells us that this is a home with people living in it— that the family photographs on the mantelpiece and the albums on the shelf are part of a history that extends beyond the sleepy warmth of the fire. It tells us that there are people here who have claimed a place by the hearth. I offer this story because I suspect it will be familiar to those who have ever walked home in one of Wellington’s unforgiving southerlies but also because this is how we mark our territories and how we map our sense of place— with fire. 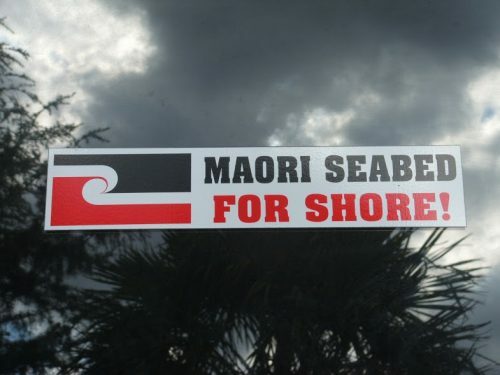 For Māori, te ahi kā roa refers to a long-burning fire. Originally, these fires were built for cooking and the flames were fed constantly but over time the smoke from these fires came to symbolize the continual occupation of an area by hapū. Te ahi kā roa told strangers and passers-by that the land had claimed its people and that they in turn had claimed a place by the hearth. I have a mental picture of a map drawn as a circle of fire where tribal boundaries are etched across the land by the smell of wood-smoke and the licking flames. The Through Our Eyes photographer-participants live in those heartlands where tribal fires burn strong. These days, of course, it is the idea of the fire rather than a fire itself that marks their occupancy of a region. But they have learnt to live with the land and to read it as if it is a favourite story told over and over before bedtime. In time, their job will be to keep the fires burning for their own children and grandchildren— to light their pathways home. The photographs in this study told a story about young Māori and the land. Te ahi kā sits at the edge of every conversation with the Through Our Eyes photographer-participants and it is present in most of their images. Mountains, sea, rivers, forests, sky. Fire. Of course, it is easy enough to pick up a camera in practically any rural or semi-rural area in New Zealand and go home with a dreamily beautiful snapshot of a mountain or a river. But the young people’s photographs show something more than the postcard prettiness of the land— they tell stories of small communities set amongst a landscape of bush and ocean— and paddocks and towns. 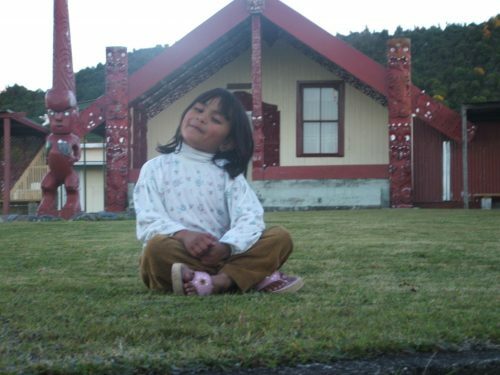 They tell stories about growing up Māori— and knowing that you have a place by the fire. 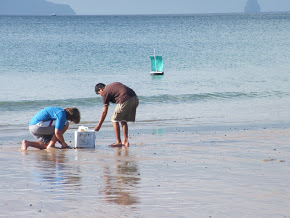 In one photograph, two boys dig for pipis on the beach at Bream Bay. Beyond them lie the mountain ranges of Whangarei Heads which shelter and protect the harbour. Mount Manaia, the main ancestral mountain, is seen in the distance. 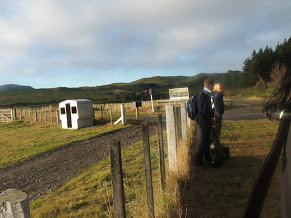 In another photograph, we see school children waiting at a Tūrangi bus-stop which is stationed within a broad sweep of paddocks. The Tūrangi photographer-participants especially interest me because they have unique ways of mapping their tribal homescapes. The other Through Our Eyes photographer-participants live near the sea but the inland township of Tūrangi has a different kind of geography. It is bordered by a family of five mountains and a winding network of rivers. The nearby Tokaanu river is a sacred place guarded by powerful taniwha. To the south, the volcanic slopes of Tongariro, Ngauruhoe and Ruapehu edge the desert plateau. The area is close to a starkly beautiful and mountainous National Park which has become a playground for skiers and winter tourists. But the Tūrangi photographer-participants show that the significance of these mountains rests not only in their scenic appeal to sightseers but in the histories and genealogies of the surrounding hapū. Ko Pihanga tenei. This maunga is the girlfriend to my maunga, Tongariro. The fire in the belly of those ancient mountains must be immense. I do not have tribal links to the area but like so many other motorists heading across the Desert Road to Tūrangi along State Highway One I always feel their pull and it is a ritual for me to stop the car and stand at the side of the road in silent acknowledgement before heading North. There are ways of mapping the fires that light the land that we learn as we are growing up. Much of the landscape for Māori is encrypted in our stories and songs. I was reminded of this recently when a Ngāti Haua colleague and I accompanied a group of Māori PhD students to a week-long Doctoral writing retreat at Hopuhopu which had been hosted by the Tainui leadership. At the beginning of the journey back to Wellington we drove down State Highway One through the winding Waikato roads. This is a part of the trip that I always find particularly tedious as paddock after green paddock slips by. But on this journey my colleague, Wally, started pointing out old pā sites and battle-sites. He showed us places where chiefs had been buried and where busy settlements had once stood. Many of these things I already knew but as he spoke— those paddocks and hills became part of a story about the movement of people across the region— a story of great violence and unimaginable loss. One of our PhD students travelling with us, Seann Paurini (Ngāti Raukawa) began making connections with Wally’s stories and telling some of his own. The landscape is a living thing that can be spoken into existence through stories. I have difficulty reading roadmaps and I expect that I shall get lost next time I am in the Waikato but I will remember the stories that were told on that trip and in future I will use them as a way of navigating to Hamilton. The Through Our Eyes photographer-participants also use these kinds of mapping systems. A map is a series of stories about the land. They find their geography in the carvings in the Whare Tipuna and in ta moko, the haka, pātere, rākau whakapapa, pepeha and waiata. The Marae itself is a study in the cartography of a region. Their photographs show how these stories are carved on the prow of a waka and across the land itself. 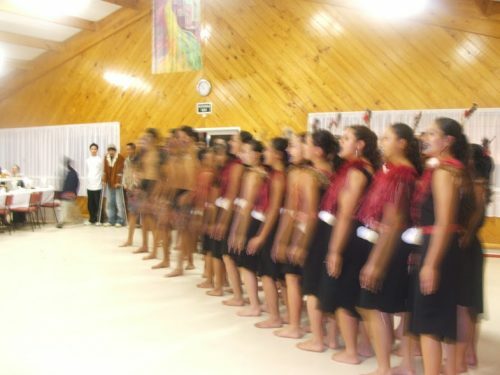 One young woman involved with the study took a photograph of a group of young Ngāti Tūwharetoa women performing waiata before the Waitangi Tribunal during a Treaty claim hearing. [NB: See my papers, The Land Remains (2012) and Representing Māori Youth Voices (2014) for an extended discussion about some of the following images]. 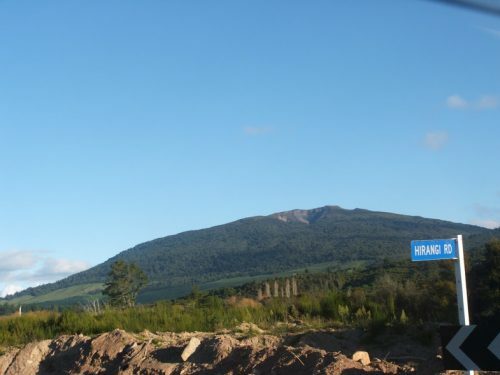 There are many pictures of road signs in the Through Our Eyes archives and most of them point to the local Marae. But I think one of the most arresting images is from a young Ngāi Tahu photographer-participant. 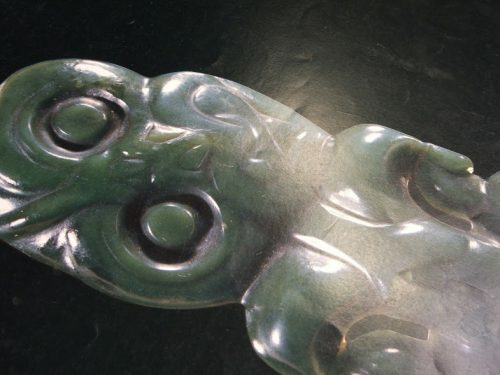 He has pictured light dancing across a pounamu tiki. He has entitled this photograph simply: “Mana”. This is one of the photographs to which I return again and again; it seems to tell a story about te ahi kā roa that cannot be put into words. But while the land is central to their understanding of growing up Māori the young people also have darker stories to tell. In particular, they remind us that the land has a fragile ecology and a changing landscape. 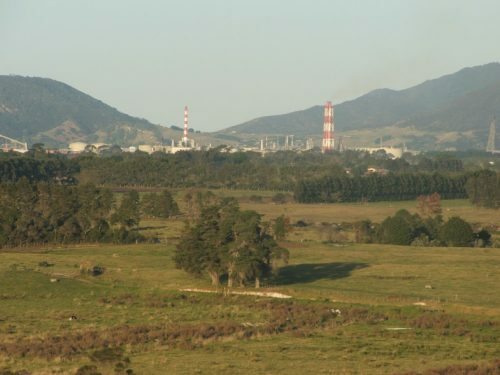 In one photograph we are shown an oil refinery looming over the township. 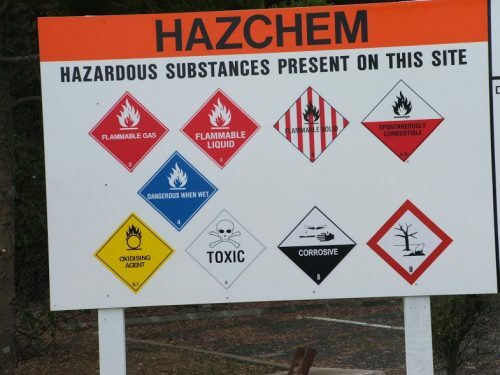 In another, a hoarding warns visitors of hazardous chemicals on the site of the refinery. 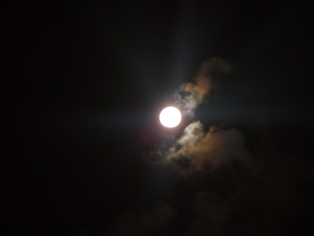 … and the moon rises in a dark sky. People are absent from these photographs. It is as if the land has been abandoned in its moments of crisis and loss. Nevertheless, these pictures are a testament to the young people’s commitment to the land and their determination to tell its stories. In the end, it seems to me that te ahi kā roa is reflected most powerfully in the young people themselves. 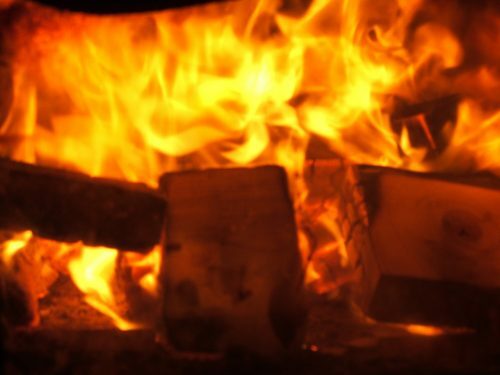 These young Māori and their families— whose lives have been touched by these flames and who have claimed their place at the hearth— sit at the heart of these stories. Kia manakohia ō ratou taonga nei e koutou.